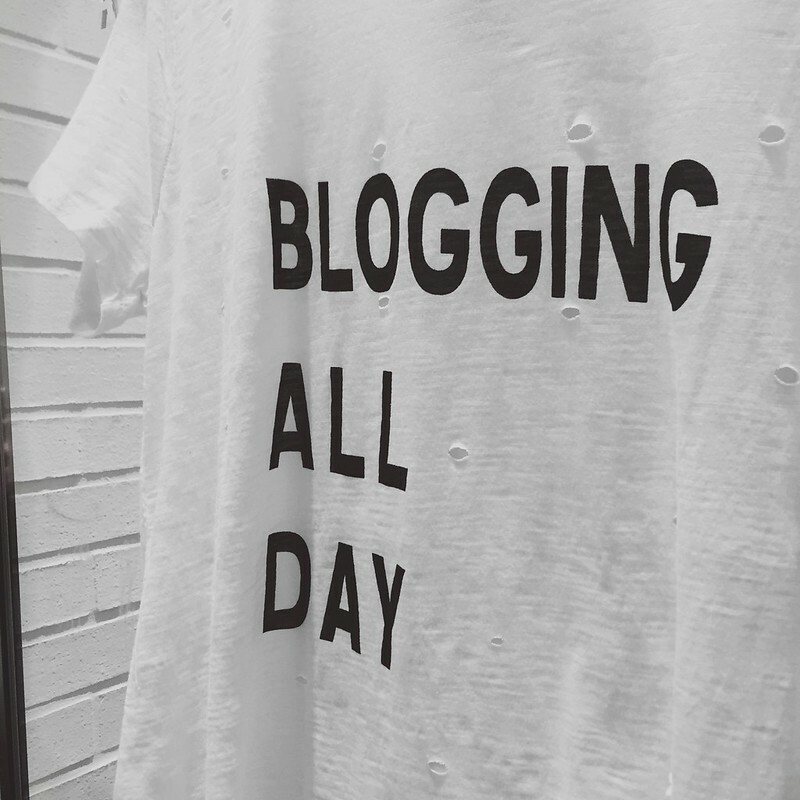 I’ve been blogging for a number of years now and believe me, there is no ‘key to success’ to running the perfect blog. However you can action small steps to prep. Before I moved to the city I thought I’d have all the time in the world to write - that the hours I’d previously spent commuting would be replaced with blogging, photographing and everything else that comes with running this little corner of the web. I’d like to say that came true, but it didn’t. City living takes a lot out of you - there’s always a dinner to go to, a party to attend or some sort of gathering that quite frankly I can’t say no to. So this post comes at a good time really. Quite obvious really but try to set aside some time to your blog. Whether that’s one weeknight or making notes on your daily commute - if you want your website to work, you need to put in the time. Depending on the topic your blog - say for instance it’s fashion related - do your homework to get inspired. This could be reading other fashion bloggers’ blogs, picking up ELLE and Vogue or hitting the high-street for a quick browse - inspiration is literally everywhere. I look at the month as a unit. I look at what key dates are happening (e.g. most recently Valentine’s and then Mother’s Day etc. ), I look at the seasonality to see what types of topics I should be pulling together. Fail to prepare and prepare to fail. What Would You Want To Read? 9/10 the best content is one you’d want to read. A topic that you’d just HAVE to click on. Or maybe your strength lies in photography. What image, what angle, what exposure, what lighting would make YOU open that post? Find your niche, find what your good at and ask yourself if YOU’D be interested in this post. If not, I’d question why you’re writing it. Passion for me is a big player in blogging. If I’m not passionate in what I’m writing, I simply don’t post it. I like to give my whole heart to this blog and wouldn’t consider putting anything other than 110% to it. Planning personally works for me - but it’s not a one size fits all solution. Not everyone likes to plan - they keep their plans in their heads or can just get inspiration on the spot. For those who don’t - I’d advise planning. It could be as simple as making notes on your phone or shock, horror - on an old school notepad. It could be starting an excel document, an online calendar or for me, I’ve got a journal which houses both my personal life plans and my blogging schedule. I only started it in 2016 so I can’t hand on heart say it IS going to work for me, but it’s lifted a weight off my shoulders knowing my blogging content is on track for the next two months. It also helps that my 9-5 job involves writing and scheduling content but regardless, I’ll keep you posted as to how that goes. Whilst I do advocate planning, you need to be flexible too. You never know when a last minute collaboration may come your way or you may have forgotten about a key date you need to cover off. Or a story may fall into your lap - whether a fellow blogger has opened up a debate on one of their posts, a news story breaks - whatever it is, always keep it in the back of your mind that you need to be flexible too. This ties into to the flexible tip but you need to be ready when you are inspired. You can’t put a time or date on inspiration as a writer, as a blogger or as a photographer - it can literally happen at any time. I carry around my phone constantly, at work I always have a dozen notebooks and when I’m travelling whether it’s in the car, on a train or on a plane - I slide out my laptop so I can write literally wherever. Or you can use those opportunities to catch up on emails, reply to tweets or reading up on others’ blogs. And finally but probably most importantly, don’t beat yourself up. Some days you simply won’t be inspired - it happens, so don’t force it. Shut your laptop, take a walk, head out with friends and come back to the task at hand later. When you ARE inspired, make the most of it. Do a bulk of writing, take lots of photos and plan there and then - this will help fill those gaps when you are stuck for inspiration. Don’t also beat yourself up if you don’t get around to blogging - life is more important. Let your blog compliment your happiness and your life, and if you find yourself not finding time - try the above tips, but if it becomes a long term issue - look at why it is, what’s stopping you. It could just be that your blog’s not for you anymore, and that’s okay too.